I’m going to tell you how I passed the FAA Drone Test the first time with high marks using the built in cheat sheet provided by the FAA that most people may not know even exists! Flying for Fun: If you are flying a drone like the DJI Mavic Pro with build in camera as a hobby, then you don’t need to worry about taking and passing the FAA’s Unmanned Aircraft General Test (UAG). The only thing you need to worry about is making sure your register it with the FAA, contact the control tower if flying within 5 miles of an airport (simply use the FAA’s B4UFLY mobile app) and abide by the rules. Those of you flying for business purposes (and that means non-profit as well(1)) MUST pass the FAA’s Drone Test which was released in September. The test ran me $175 and the ground school class ran $200; the class ran from 6:00pm to 9:00pm Monday, Wednesday and Thursday for two weeks. It is not necessary to take the ground school but took it anyway because I heard the pass rate was horrible and if you fail, you’ll have to pay another $175. I passed with high marks because of how I studied and a little secret I found. The test is 63 questions with 3 of them not counting toward your grade (FAA’s way of testing new questions) – you will have 2 hours to finish it and need at least a score of 70% to pass. The class was a blast and I had two fantastic instructors that knew their stuff! However, the material and sample questions are all provided by the FAA so I could have skipped the class. The FAA’s Small Unmanned Aircraft Systems Study Guide covers everything you need so read this first, then take their practice exam. Want the answers to that practice exam? The FAA doesn’t give them to you, but Jonathan Rupprecht does – he is a pilot and aviation attorney taking part in a legal battle concerning the legality of the registry – he knows his stuff and did a FANTASTIC job explaining each answer. Cheat Sheet for the FAA Drone Test? When you take the test, you’ll take it in a room where you are monitored. No phones, notes, or anything else. 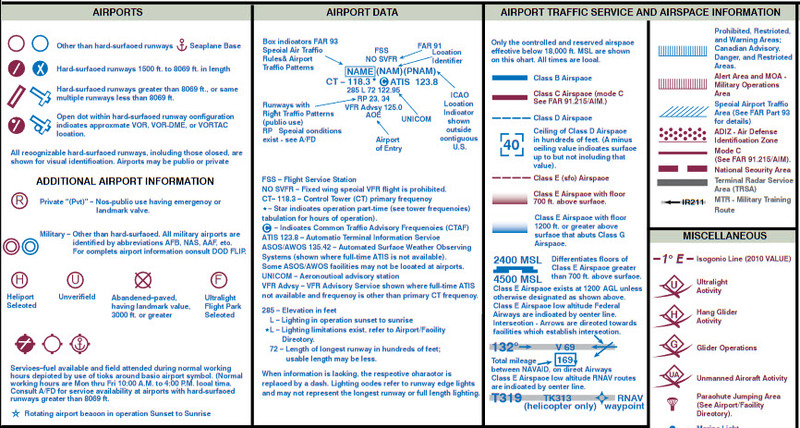 However, the FAA provides you the exam supplement shown above which also happens to contain your cheat sheet! Review Appendix 1 BEFORE the test – get to know this – it’s not cheating, but it serves the same purpose as a cheat sheet because you are allowed to refer to it during the exam. After I completed the practice test I wanted to get a feel for the real deal so I ended up purchasing ASA’s Remote Pilot Prepware which tests you on everything and explains in detail what you got wrong and why! Of everything I did to prepare for the exam, this was be far the most helpful. Most of the questions on the FAA test are just like the ones you’ll be given with this UAG test prep software. The software comes with a total of 314 questions available, was only $39 and worth every cent! A sample question is shown below. I am not affiliated with Prepware in any way and receive no compensation for recommending them – I simply point out the software package because they are inexpensive and were a major part in helping me prepare for the test. You can also find great fee study guides at Ascent Ground School. Although this is focused on private pilot license rather than the remote pilot’s license, it has a few sections that is covered on the test and will be very helpful to you! They are Lesson 4, 7 and 8. You should also check out the FAA’s Aeronautical Chart User’s Guide as you’ll be drilled on this during the test! That’s it – take the practice test, understand the reasons behind any wrong answers, repeat until you get a good score and you should be ready for the FAA Exam; it worked for me – I received a score of 90% on the first test! If you have any questions, feel free to drop me a comment. Good Luck!!! Disclaimer: I shouldn’t need to say this, but I’ll do it anyway – this is a completely honest review! I recommended the attorney’s study guide and Prepware’s software because I used them to pass the test – I found them on my own and they ended up working out great (that doesn’t always happen :) This page is about how I passed the drone test and what worked for me but that does not mean you’ll have the same results.